Slumpy's released a new & funky mold a few weeks back! 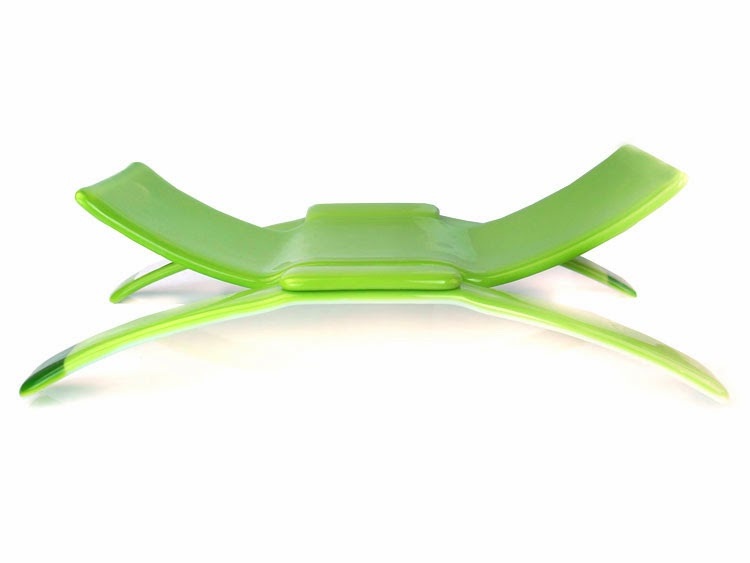 The DJ's Design mold has been so popular and seems to be grabbing everyone's attention. So… with that said! I'm going to walk you through how I created the final piece! Step 1: Choose your glass colors/ design and start cutting! Make sure to double up your glass to ensure glass doesn't pull in. 15" L will guantee the base will be even on all four. Step 2: Full fuse the layers of each separately to make glass 0.25" thick. Fused glass likes to be .25" thick. 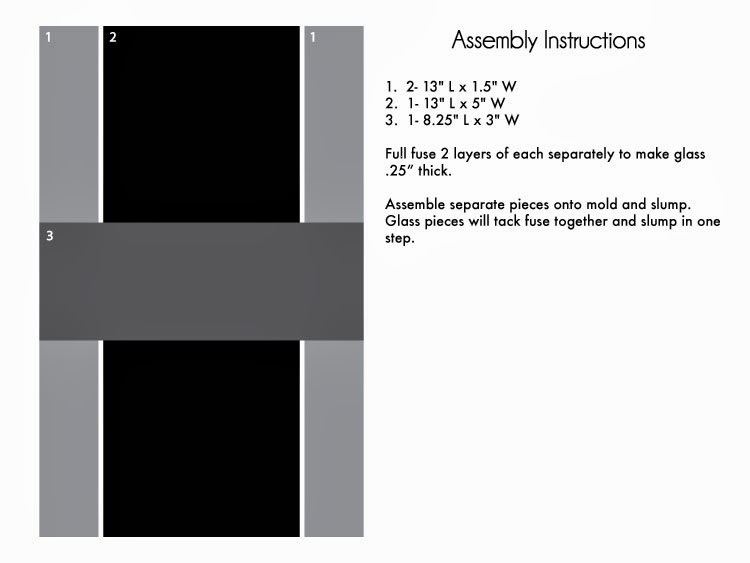 Step 3: Assemble the fused pieces on the [primed] mold and slump. The glass pieces will tack fuse together and slump in one step. The DJ Design is so much fun and I would love to see what you create on the mold! Email pictures of your DJ Design final piece to slumpyartist@gmail.com. I would love to see your glass designs. Takeouts: I first full fused an 'H' design to use on this mold then quickly tossed any idea of that design! The piece pushed out a bit and didn't fit to the measurements of the mold. Soo… I created something a little different and pieced together the mold. 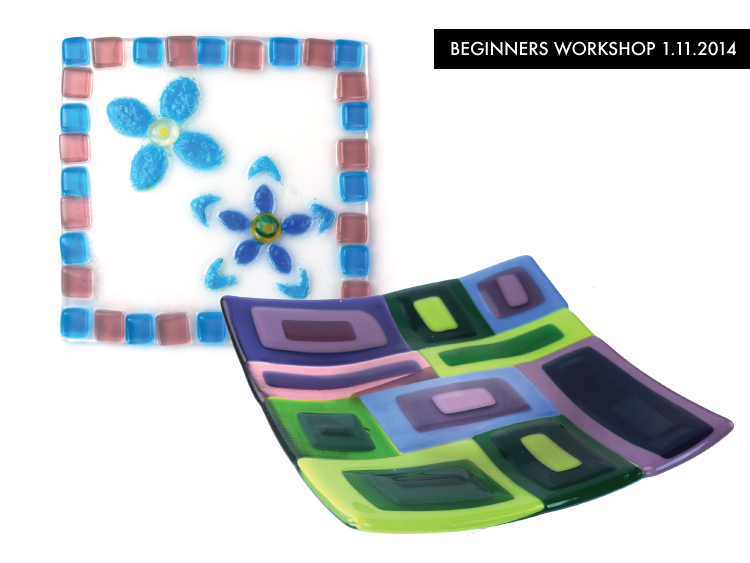 Want to learn more about glass fusing and slumping? Visit our website for our Saturday workshops-- next one is May 3! Projects and techniques being taught will be announced soon. I've seen glass 'coral bowls' everywhere nowadays and I'm sure you have too. This little tutorial will help you use up some on your scrap glass with a couple simple steps! I like to use the same color throughout my bowls but you can create shading with clear, transparent and opalescent glass colors. Make sure you measure your mold to determine the max diameter of glass-- marking the parameters on your shelf paper will make it easier for you (Tip: Flip the mold upside down and trace on your paper). Creating your piece on your kiln shelf (line with shelf paper) makes transferring to your kiln very easy. 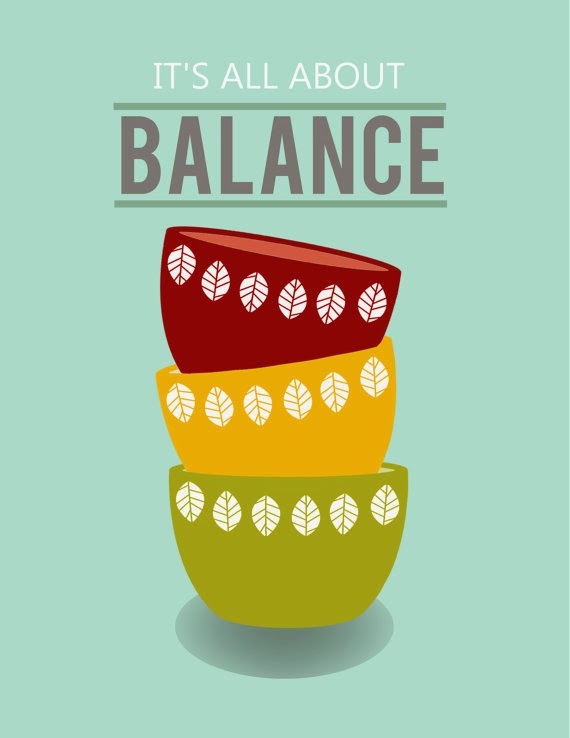 Begin arranging your bowl by 'branching' the glass strips on the shelf paper. Continue organizing glass until you are happy :) then Full fuse your piece. Once fused, rinse with soap and water then slump or drape on your favorite mold. My Coral Bowl is System 96 Orange Opalescent glass and draped over SS-540, Andrew Sphere 12" bowl. The total diameter of my bowl is 6" and can be used as a candle holder or just a cute accent piece in any room. 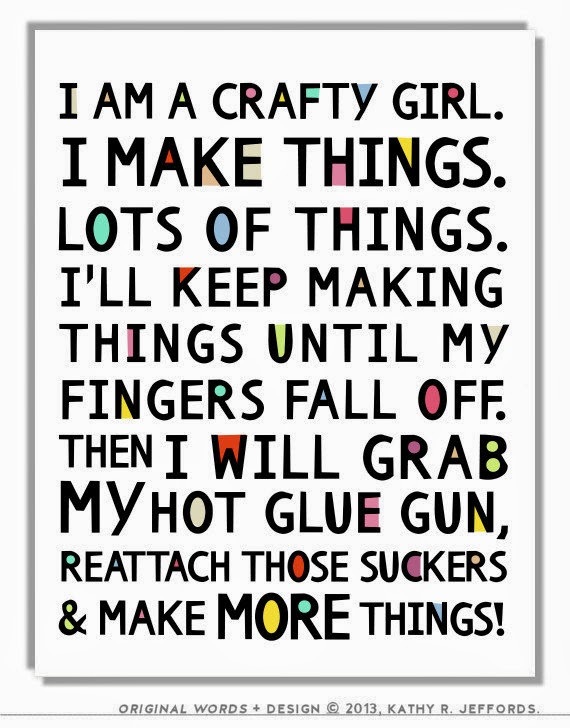 This is just a cute print I found on Etsy/thedreamygiraffe, talking about creating everyday-- Happy Monday, slumpsters! And as always, email me with any questions! On Saturday, January 11th, Slumpy's hosted their first [ever] Beginner's Workshop in Belmont! We talked about fusing basics (Tack, Contour & Full fuse), tools, and created two 6" glass projects. We worked with Slumpy's Carolina Frit and Frit stencils along with System 96 glass. 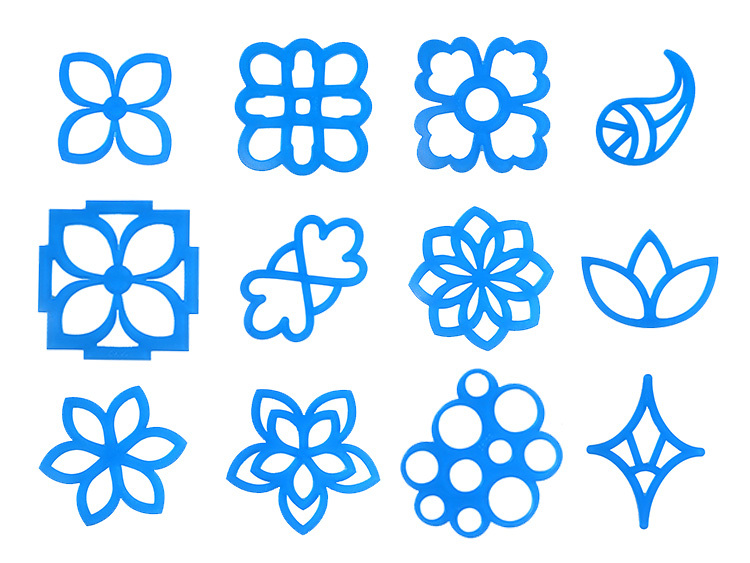 Our Frit stencils are so easy to use and come in so many shapes. See more on our website! Take a look at one students take on Frit Stencils and System 96 'Retro Squares' Project. The Retro Squares project was fused and slumped in our Jumpin' Jill Mold and the Frit Stencil project was contour fused. For Slumpy's Firing Guide, check out our website. Also, our FAQ is up too! Don't miss our next Workshop on March 1-- more details here. See you soon in Belmont! Did you hear Slumpy's is holding our first Beginner's Workshop on January 11, 2014? 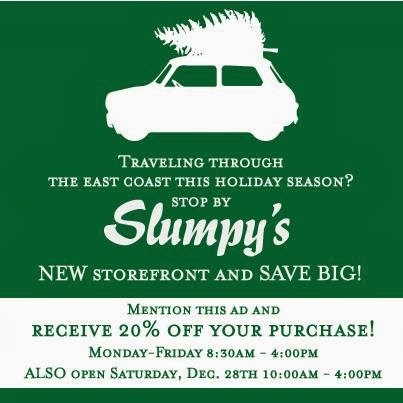 This is such exciting news for all of us at Slumpy's! We are excited to bring you new ideas and learning tools! The Class will start at 8:30 am on Saturday, January 11th and end at 11:30 am. Students will be able to shop our NEW store from 11:30 am until 1:00 pm. You will learn the Basics to Glass Fusing! The class includes two (2) COE 96 glass projects- use of tools, safety gear, glass supplies and kiln firings. The cost of the class is $75 ($150 Value)! Space is limited to 8 seats. We look forward to a NEW year full of a lot of NEW beginnings (ers)! See you in January, Slumpsters! Also, our NEW store will be OPEN this Saturday, December 28th from 10am-4pm! 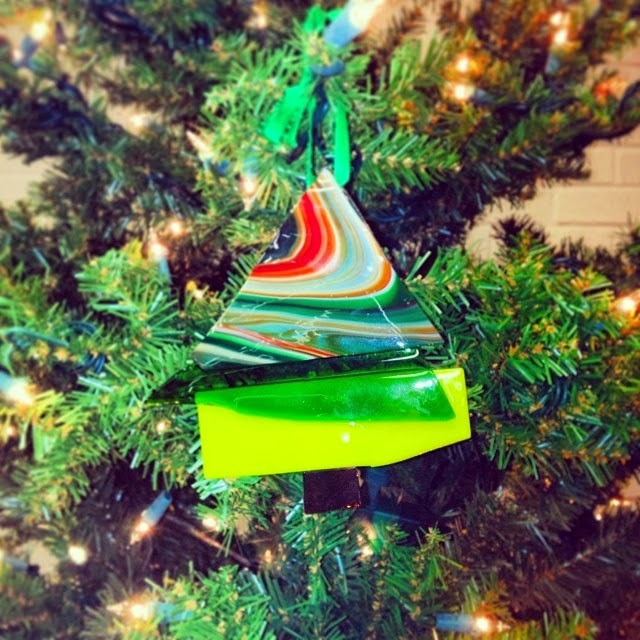 This past Monday, December 9th, Slumpy's had an Ornament Workshop Party for our crew! We had a great time socializing and working with all the glass. The crew made an ornament for the Slumpy's Christmas tree and one for their own Christmas tree. To keep all the pieces in place, we used Klyr Fire adhesive. All the ornaments were contour fused and look great! We used Dichro pebbles, Irid glass, Buffalo Chips, Carolina Frit, and scrap glass. Click here to see our glass components selection! We used Slumpy's Scientific Serum to glue jewelry bails to the glass ornaments for easy hanging. You could also drill a hole in the glass using ST-390, 1/8" Drill bit. Check out our Holiday section on our website! OPEN Saturday, Dec. 28 from 10am-4pm!